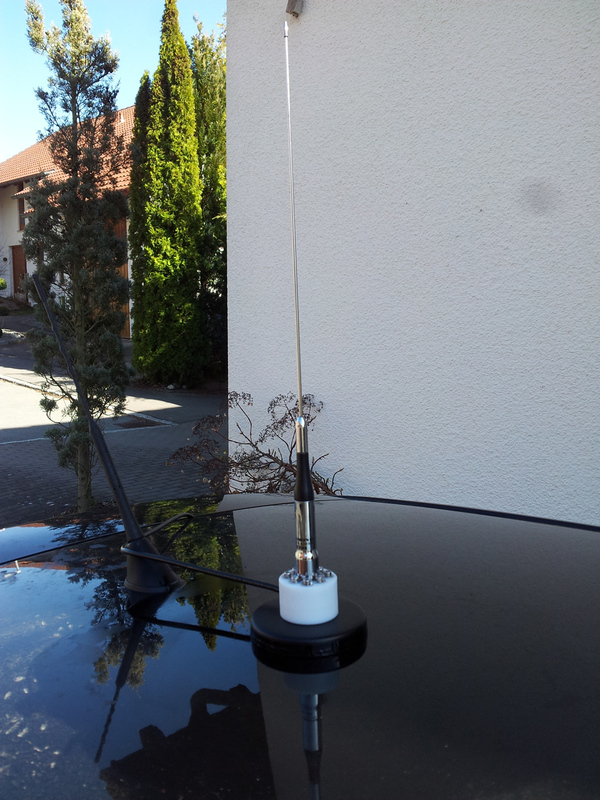 I do (of course) have an antenna on my car, which was to date mounted with a pretty rusty old magmount. I don’t know; our local marten didn’t like that at all, the RG-58 which was unprotected ~20cm was completely torn to peices. To cut it short; I didn’t document the process. 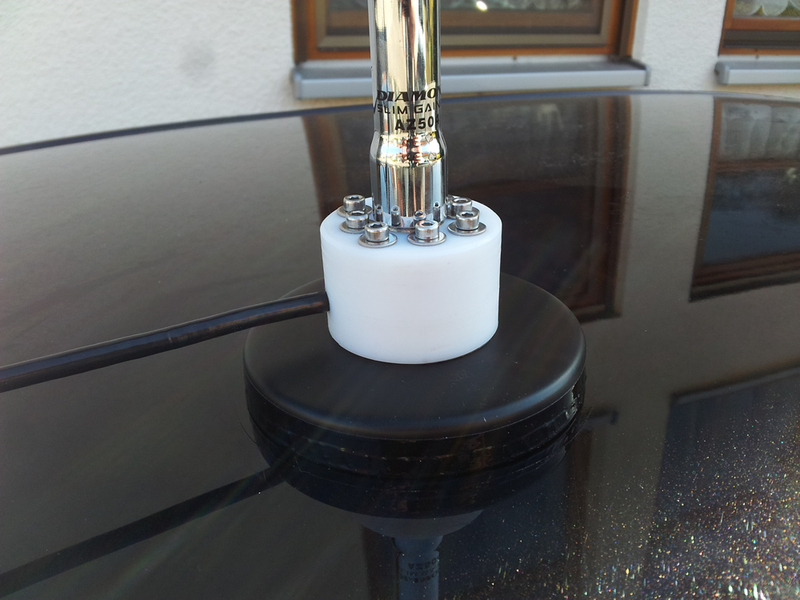 I could only reuse the magnet from the original magmount, the connector was completely encased in PVC and thus irretrievable. So i turned a new connector holder out of delrin (POM) and milled the fitting for the connector with my CNC. After I de-rusted the magnet, drilled matching holes, applied a base coat and some layers of laquer I screwed on the holder with V4A INOX screws.